The first review of August for SuperPhillip Central is the video game tie-in to one of the most entertaining family films I've seen in a good while. 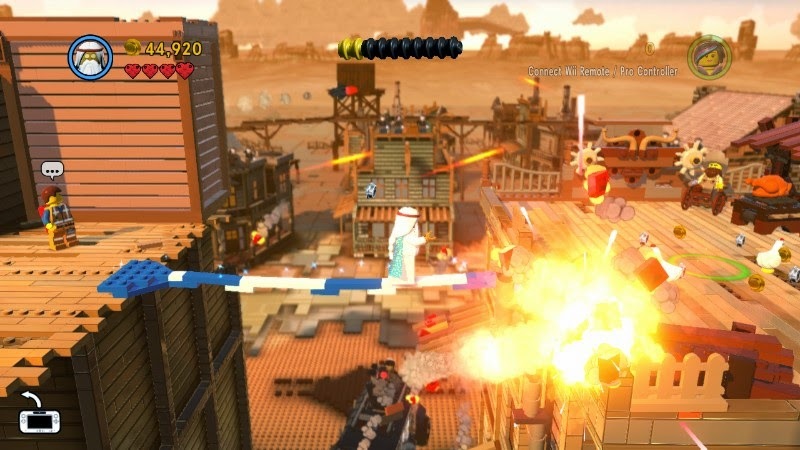 It's The LEGO Movie Videogame, and here's our verdict on it. Is Everything Awesome? No. Not Quite. 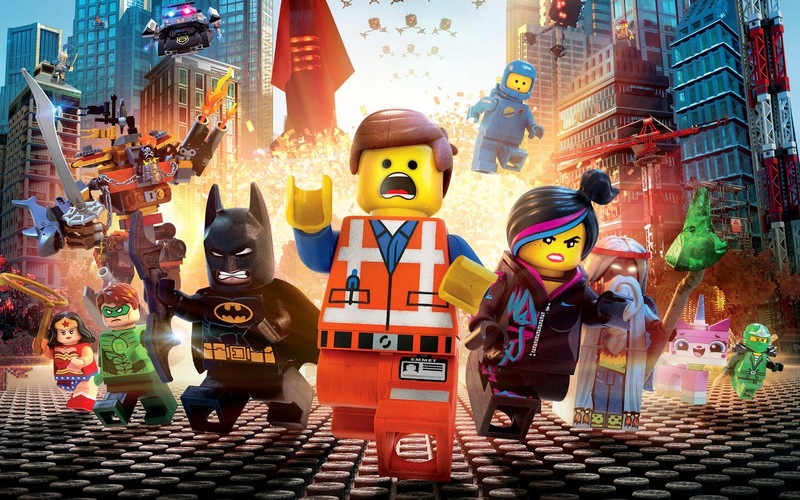 The LEGO Movie was a highly humorous and charming romp featuring a world made up entirely of LEGO and an all-star cast. The movie recently released for home consumption, so it seemed like a sweet opportunity to check out the game based off of it. A great criticism regarding the LEGO series of video games is how stagnant with little in the way of big changes the games have become. While The LEGO Movie Videogame does try some new things, it is overall a very similar experience to what we've seen in the past. Does that make the game worth your LEGO studs (i.e. money)? 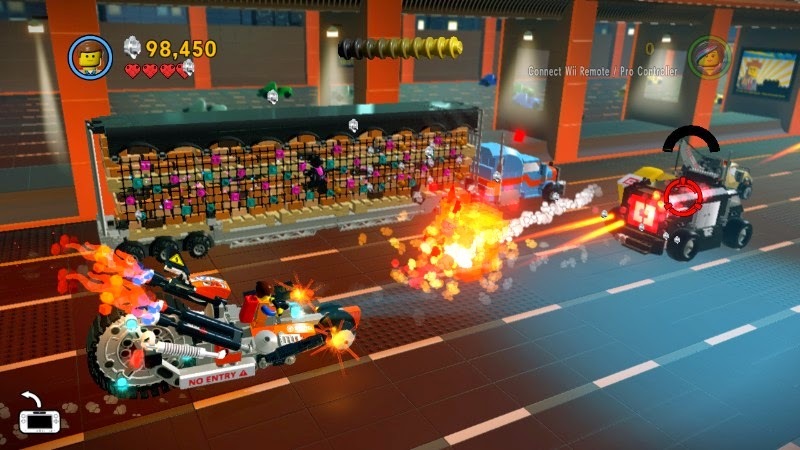 The LEGO Movie Videogame closely follows the plot of the movie, even showcasing a wide breadth of footage from the actual movie. It follows Emmet, a dimwitted construction worker who is selected as the special, tasked with saving the world from the sinister Lord Business. It's a task he is woefully and quite frankly hilariously inept and unprepared for. Along the way he meets up with a colorful cast of characters, both heroes and villains, all voiced by their movie counterparts. cost him a stud equivalent of $450. 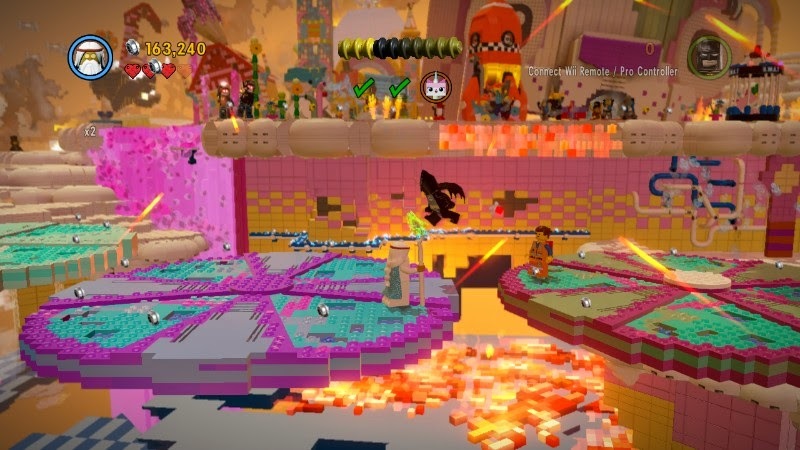 Like a typical LEGO game, The LEGO Movie Videogame consists of fifteen main levels, where the goal is to smash objects to reveal spots where you can build helpful mechanisms like switches, bridges, and pretty much everything under the LEGO sun in order to progress through levels. This is all the while fending off the occasional group of enemies. As there is no major punishment for dying in a level, you are merely revived after literally falling apart, allowing you to continue as you were, the challenge of the game is quite low. 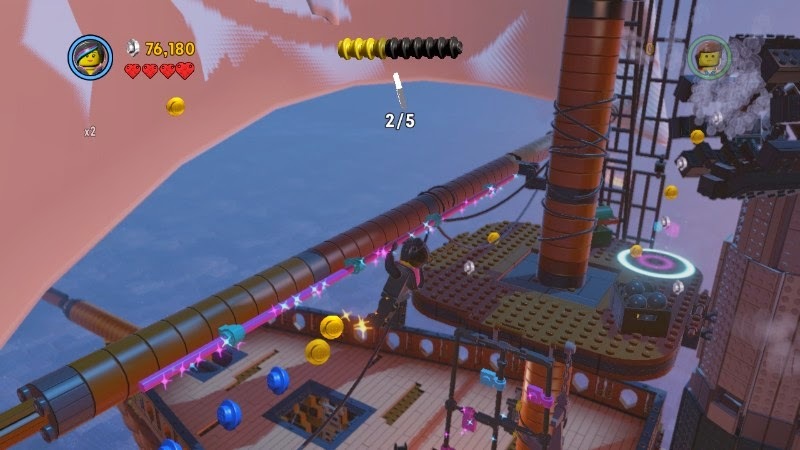 The real challenge in the LEGO games is coming up with a means to move on in a given level. Again, this basically boils down to smashing everything in your path with your fists and feet, revealing objects that can be utilized. All in a day's job for Emmet. Each of the fifteen levels has you switching between multiple characters, each with their own specialties. 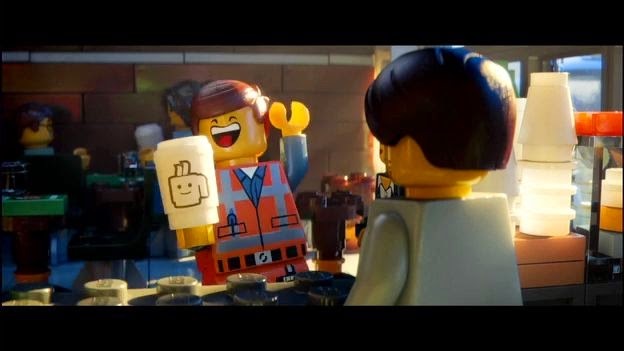 For example, Emmet is terrific for fixing broken down mechanisms, female characters are great jumpers and can perform acrobatics maneuvers, and Vitruvius, thanks to his "blindness", can move across dangerous areas that other characters would be paralyzed with fear to attempt to venture into or onto. The switching of characters can be done with a press of a button, or if you'd like to avoid cycling between each character until you get to who you want to control, a helpful character wheel allows you to directly choose your desired LEGO character. of by falling off this very narrow bridge! The LEGO Movie Videogame like other games in the LEGO line has a wonderful amount of extra content, although nowhere near more recent games. That's a really positive thing that it has extra content that is worthwhile, as otherwise the short six hour campaign would make for a game that could easily be a rental only. As you earn studs, the currency of the LEGO series, you can purchase new characters, over 100 in total to choose from. These can be used to your liking if you decide to return to beaten levels. This is a must for 100% completion, as the first time around in each level you don't have all of the character types and their special abilities required to discover and nab all of the collectibles and secrets. Some people will do anything for attention. Seriously, pull-ups from that height? 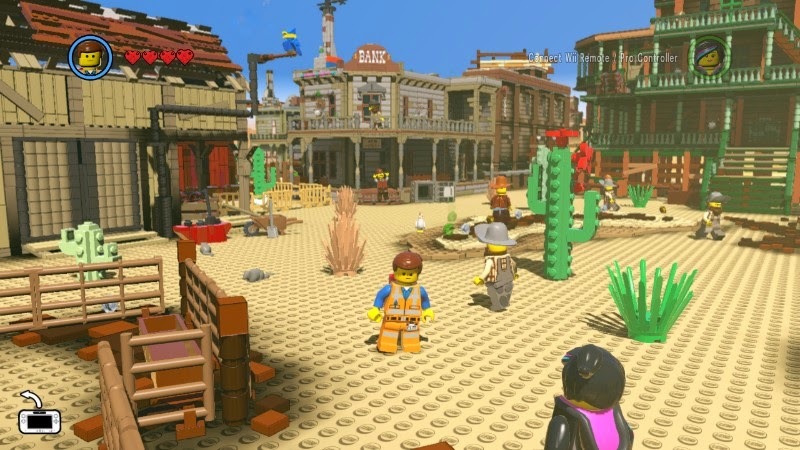 Compared to recent LEGO games like LEGO City Undercover and LEGO Marvel Super Heroes, The LEGO Movie Videogame feels like a much smaller adventure not just in length but in scope, and that's because it really is. Instead of being able to explore an expansive city in between levels, you are confined to one of four tiny, self-contained areas. While there's things to collect in these hub worlds, the areas are so minuscule in size that it's quite easy and quick to uncover everything. Wait a minute. Wrong movie! 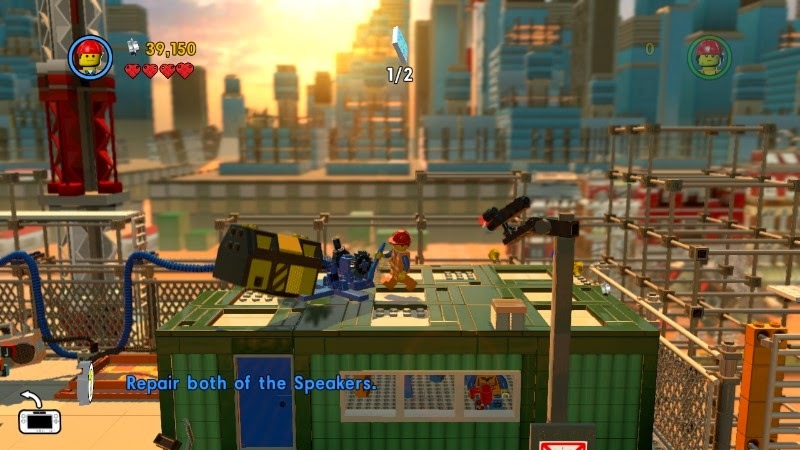 On every console version, two players are able to enjoy The LEGO Movie Videogame together. The Wii U version is of particular note in this arena due to the ability to either have split-screen play or one player using the TV screen while the other uses the Wii U GamePad screen to allow both to enjoy a full-screened co-op experience. Other than a throwaway ability to switch characters with the Wii U GamePad screen while playing solo and off-TV play, the GamePad isn't used to its full potential, story of the controller's life. Emmet gets in touch with his inner cowboy. The LEGO Movie Videogame is graphically stellar to look at. There's some especially nice lighting effects seen, and the ability to turn on and off the motion blur makes for a welcome touch. The game isn't without its share of frame-rate or glitch issues, but overall it is a serviceable experience. Sound and music design is well done, again, offering all of the original movie voice actors. The music is suitable enough with a good variety of themes that can make you end up humming to each (or at least nodding your head with the rhythm of the music). Don't worry about careful jumps here, Batman. It's just a fiery, painful death below. 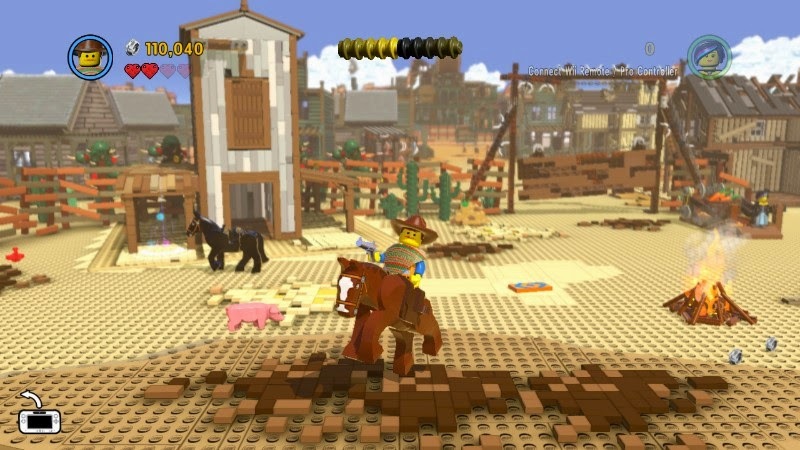 As it stands as a LEGO game, The LEGO Movie Videogame is but a chip off the old block of iterative LEGO games. It doesn't necessarily innovative in any huge way, but it's also an entertaining game from beginning to end, and a long ways after the credits roll, just like almost every other TT Games LEGO title in existence. 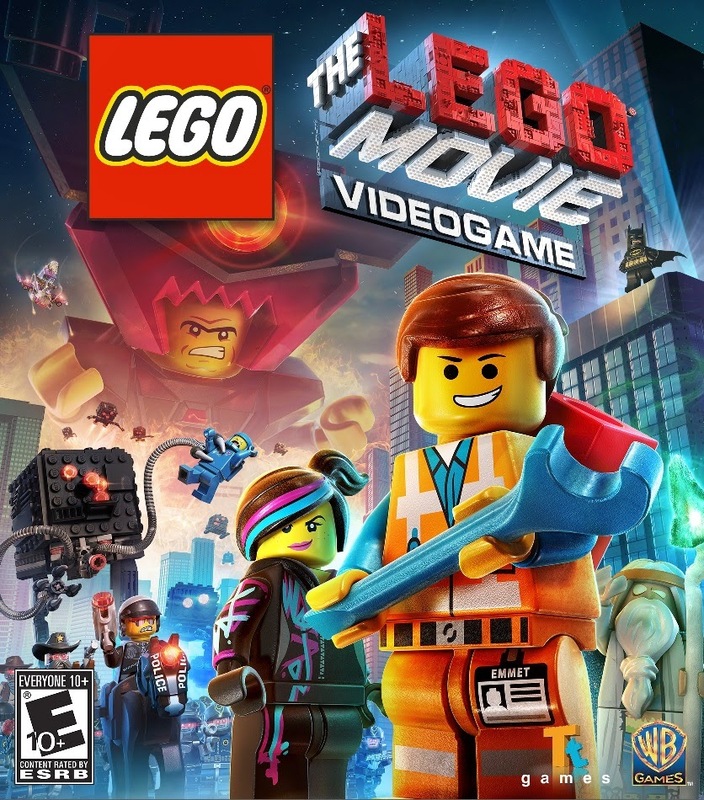 While everything isn't quite awesome, The LEGO Movie Videogame is worth at least a rental if you're looking for an inoffensive family game.